In business it takes a considerable amount of attention and planning to become successful. For some industries it can be a little harder to get off the ground especially for Debt Collection companies. This is the result of the difficulties involving running a successful business, also satisfying customers while still preserving full compliance of industry laws and regulations. Debt Collection business often relies on the ability to take credit cards from customers as a form of payment. 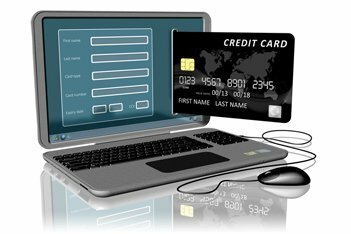 To insure growth for your business and deliver services clients need without delay; Debt Collection merchants need a solution for online credit card processing on their websites. At Choice Funding we specialize in Debt Collection accounts to make sure you are up and processing quickly. With current and growing regulation looming in the Debt Collection industry it makes operating a business challenging for their owners. Regulations, restrictions and also rules for merchant account providers can put more pressure on operating successfully. Because of these many challenges, finding a processor that will approve a merchant account to a Debt Collection company is extremely problematic. Banks often brand Debt Collection companies as high-risk industry for a range of reasons. Most merchant processors do not fully understand how the industry works. This results in many banks considering them high risk or not approving them at all. Choice Funding will have you approved quickly! If you’ve had trouble acquiring a credit card processing account online or at your business location Choice Funding can help. Let us tailor a solution to your business today! Having a card processing solution that keeps your top interests in mind lets you get back to concentrating on what’s most important and that’s your business. Choice Funding makes it simple to set up a merchant account and our pricing plans are designed to insure you are paying the lowest possible rates with the top PCI security standards. Our USA based tech support department provides simple guided integrating into your pre-existing online system. We are compatible with nearly every website shopping cart so your customers can continue to conveniently place orders. All transactions are run safe and securely so you will have a lower risk of fraudulent occurrences that end up costing you more! Contact Choice Funding today and speak to a Debt Collection merchant account specialist for more information. Choice Funding makes choosing and merchant processing company more simplified! U.S. collection agencies alone directly employ 136,000 people and indirectly employee in related and supporting industries and additional 95,000 individuals. The debt collection industry is largely made up of small businesses. Industry job growth is expected to grow 15% year over year for the next 7 years, with over 450,000 expected industry employees by 2022. 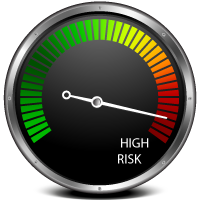 In an industry as highly regulated as collections, know that even the few high risk credit card processors that accept debt collections companies accept them with a ‘short leash’ so to speak. To that end, they are watching your chargeback ratio very closely for signs that your business poses a regulatory or financial risk to the credit card processor or sponsor bank. Chargebacks are the most tangible and easy to spot sign that there are potential future problems with your business from the high risk merchant account providers perspective, and as a result is something you should be paying very close attention to, and taking steps to keep below 2%. Your business’ chargeback ratio is the total count of chargebacks in a month divided by the total number of sales transactions in the month. Note that I didn’t say the number of chargebacks that you lost, won, fought or didn’t fight. The relevant number is, how many of your customers called their issuing bank and initiated a chargeback. That’s it. You can’t “win” enough chargebacks to lower the ratio, because it doesn’t go into the calculation. So, if your debt collections business has 100 sales transactions in a month, and 4 customers in that same month call their issuing bank to initiate a chargeback, you have a 4% chargeback ratio, regardless of whether those customers where right/wrong/or otherwise. Why does a debt collection merchant services provider care what my chargeback ratio is? It’s a high risk merchant account after all, so they shouldn’t care about chargeback ratios, right? Well, the fact that they’re a high risk credit card processor just means that they will offer debt collections merchant accounts at all, not that they’re insensitive to chargebacks. The reason, is that the credit card processor faces potentially large fines from Visa, MasterCard and AmEx if they allow you to continue processing and your chargeback ratio exceeds 2% for more than a couple of months. Generally, those fines are significantly larger, and cause the credit card processor more regulatory problems than any amount of revenue they will make off your account. Thus, if you let your chargeback ratio consistently stay above 2%, rest assured, you will almost certainly have your account terminated. So, the key to being successful when accepting credit and debit cards in a collections company is to use techniques and tools to ensure that your chargeback ratio stays below 2%. Why do debt collection agencies / collection companies get lots of chargebacks? Debtors, which are the clientele of collections companies, by definition don’t have great credit, and and far more likely to resort to ‘friendly chargebacks’ (aka disputing valid charges) in an effort to recover funds and maintain their personal cashflow. When debtors do have a legitimate complaint, many small debt collection companies (and even some larger ones) don’t do a great job of hearing those complaints out, and issuing refunds. That of course, is due to the fact that almost all debtors aren’t excited about paying their debt, and so a great number have gripes. Many collections companies do not send out detailed invoices or payment receipts bearing their billing department’s contact information, leaving a disgruntled customer in the position of having the easiest way to complain about a charge contacting their issuing bank. Collections agencies and other debt related companies often offer payment plans through which they use recurring billing to accept payments from the debtor. If they do so, they need to do two things, (1) send out an invoice that precedes each payment to notify the debtor that the debit is coming, (2) be knowledgeable that no matter how many precautions are taken with recurring billing transactions the chargeback ratio is always higher here, meaning they need to weigh the costs / benefits. Often, debt collection payments are relatively large expenses for debtors without a lot of extra cashflow. These large payments are big enough that debtors may try to free up personal cashflow by initiating a chargeback, whereas they might not target a smaller charge. Most debt collections businesses do not have a strong brand name, and therefore debtors may simply not recognize the name of the collections organization listed in their payment descriptor, and thus may initiate a chargeback claiming that they do not recognize the charge. Many debt collections companies (and same goes for high risk merchants in general) don’t realize that a chargeback, regardless of whether legitimate, won or lost, contributes to their chargeback ratio. So when a disgruntled debtor calls they don’t immediately bend over backwards to try to make it okay, but instead try to fight all chargebacks. Many collections companies owners, particularly new ones, do not know the full suite of chargeback avoidance services that they could be using to control chargebacks, some of which, frankly, are extremely effective when used properly. And for others that are trying to use these services or techniques, if they’re not integrated properly then you might as well not even pay for them. Send confirmation and customer satisfaction emails: When you take a credit card payment for debt collection, make sure that you send an electronic receipt, which includes the collection agencies contact information and a billing support phone number. Either the day after the transaction, or at the end of the month, before the customer receives their credit card statement, send a follow up customer satisfaction email. Ultimately, people are never going to love their debt collection agency, so don’t be disappointed that the feedback won’t be great. The key is to give yourself one more opportunity to get in front of customers that may initiate a chargeback and let them know you can make it right. Similarly, make sure to send an invoice receipt 24-48 hours prior to any monthly recurring billing charges. At Choice Funding, we offer an integrated service that will handle all of this for you, called billing support services. Integrate Customer Dispute Alerts: No matter what you do, there will always be a few customers that initiate a chargeback. That doesn’t mean you’ve lost the battle entirely yet, however. Rather, if you receive customer dispute alerts (Choice Funding also offers these chargeback alerts, fully integrated with all high risk merchant account for debt collections companies) you will have an additional 72 hours to decide whether to issue a full refund. If you do, then no chargeback will initiate. This system isn’t perfect, it only catches about 30% of chargebacks, but it’s a heck of a lot better than nothing, and if you were running at a 3% chargeback ratio, it’d bring you down to 2%. Consider Obtaining Customer eSignatures: When your team completes a transaction, taking an extra few minutes to send out an electronic authorization for signature is a great way to ensure (1) that you’ll win any chargeback, and (2) that you’ll have a lot fewer of them. The reason, is that it forces both the employee and the debtor to take a minute and review everything so there are no misunderstandings, plus the formality of signing a document generally serves to set the payment in the memory of the debtor so there is far fewer “friendly chargebacks” from customers not remembering who your company is. A lot of debt collection businesses are calloused by the fact that so many debtors complain, and so they don’t prioritize issuing refunds. Instead, train staff to err on the side of giving a full refund, particularly when a customer threatens to contact their issuing bank. Obviously you can’t give a refund to literally every customer that asks, but knowing that it’s the transaction count not the cash value of a chargeback that matters to your chargeback ratio, you may want to consider always issuing a full refund when the transaction amount is below a certain threshold to lower your debt collection company’s chargeback ratio. Maintain high transaction counts: As discussed, your chargeback ratio is determined by the number of chargebacks in a month, divided by the total count of monthly transactions. So while it’s important to keep the numerator (the number of chargebacks) down, it’s equally important to keep the denominator (the number of monthly chargebacks) high. So, for example, a debt collection company with only 25 transactions per month is much more at risk of getting shut down by a few random chargebacks than one with a few hundred transactions. Therefore, it’s obviously better to have more transactions as opposed to fewer. But obviously you can’t just double the size of your business at a whim, that said, it’s important for small businesses, particularly in months when they have chargebacks to maintain their sales count as opposed to shutting down for an extended vacation for example.